Several alerts are in effect for northwestern Illinois and eastern Iowa. 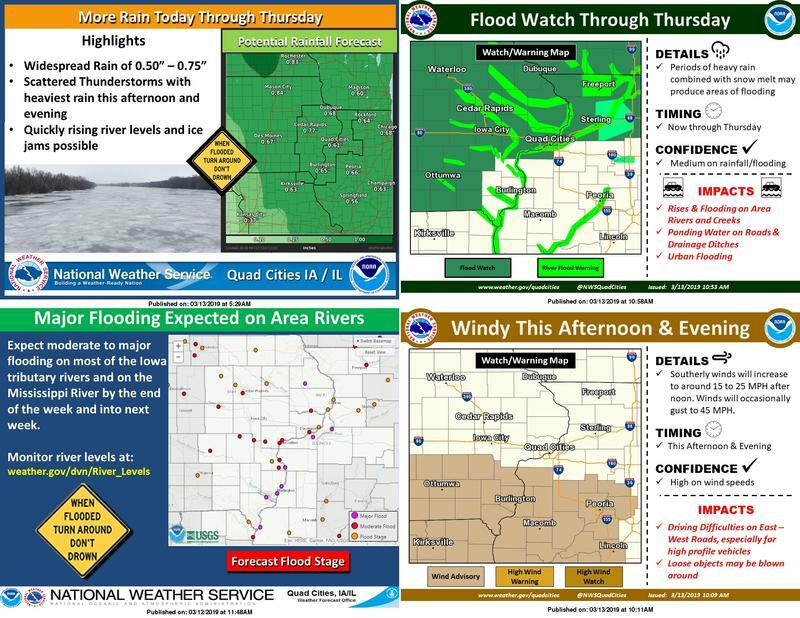 Here are all four graphics on the Quad Cities National Weather Service's "story" page for Wednesday, March 13th. Go HERE for details about each weather alert. Look for the tabs to click on in the middle of the page to find each graphic. Then read the text below the images for more specific information. The National Weather Service in the Quad Cities has issued a wind advisory which is in effect until 5 p.m. It's for eastern Iowa plus Jo Daviess, Mercer & Rock Island counties in Illinois.